Tucked-away in rolling countryside, our picturesque events space provides a naturally beautiful setting for your wedding. 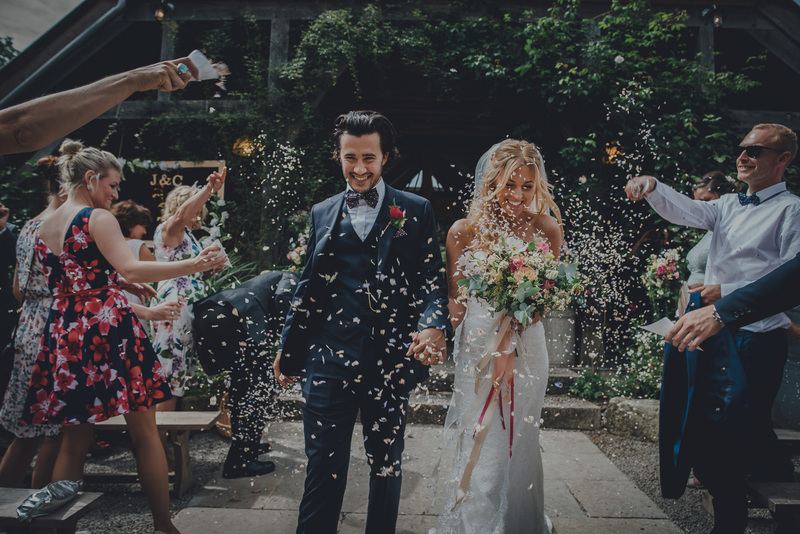 Your wedding at Nancarrow will feel like an extended getaway, with time to relax, enjoy and feel very at home while our in-house team of super friendly professionals, take care of the nitty gritty. If Nancarrow captures your imagination, please contact us to enquire about availability and prices. 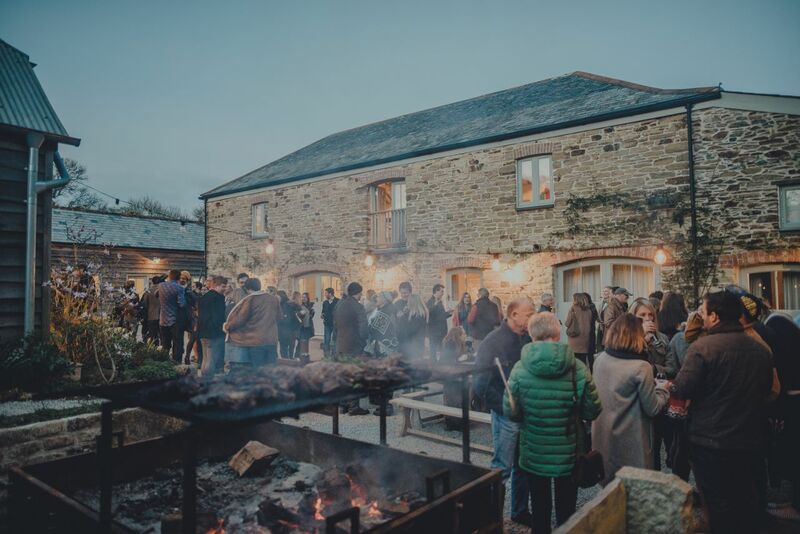 We’ve lovingly converted 5 barns to create into a beautiful venue tucked away in the heart of our farm. Rambling roses clamber up the walls of our barns which surround pretty, south facing courtyard where your guests are warmly welcomed to Nancarrow. 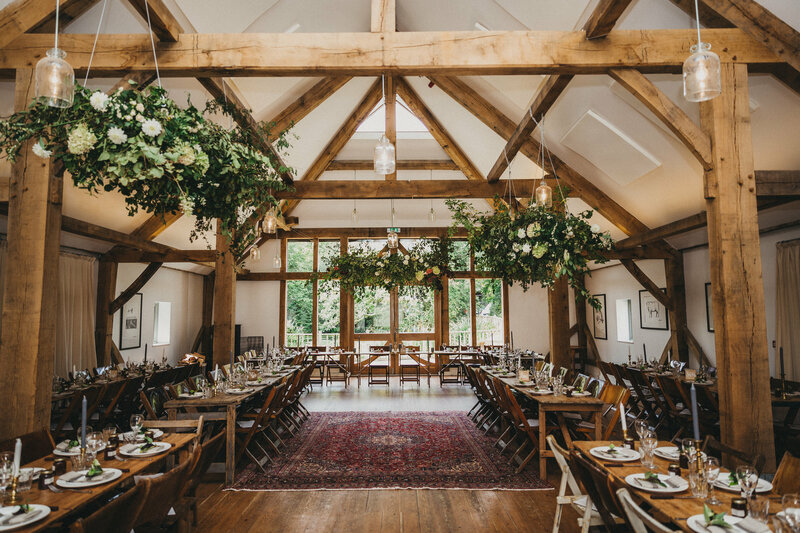 Seating between 75 & 130 guests on trestle tables and vintage chairs, our green-oak framed event barn, which overlooks the millpond to the rear provides a generous flexible space, which is bathed in natural light and decorated to your tastes. 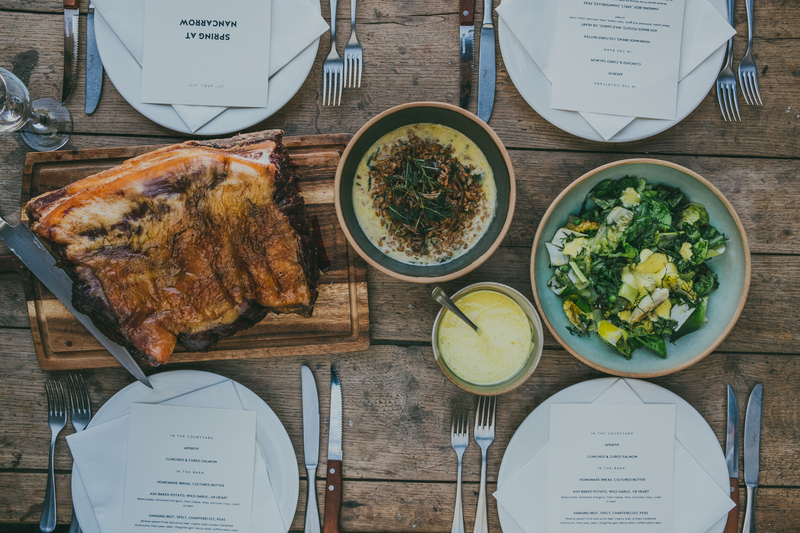 Nancarrow Farm Kitchen, our in-house catering team, specialises in creating your own bespoke wedding feast. 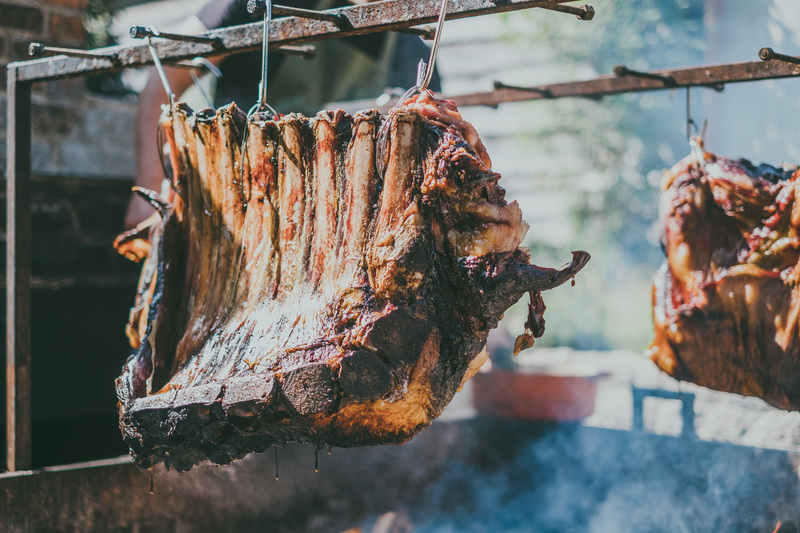 Rest assured your wedding party will be treated to a fabulous feast and looked after beautifully by our friendly, professional team. 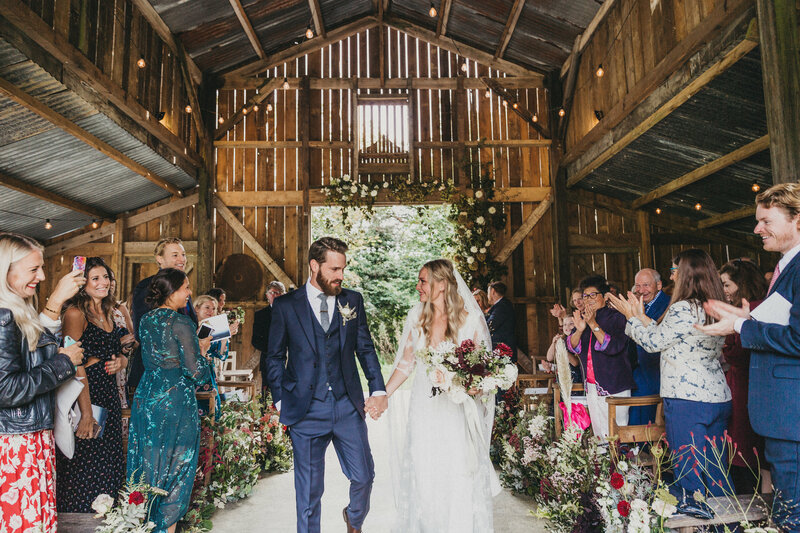 Hold your ceremony in our newly restored hay barn with its exposed beams and rustic interior, or if the weather is fine, why not tie-the-knot in the open air overlooking the pretty courtyard? We are a licenced wedding venue for civil ceremonies yet there are also plenty of beautiful local churches close-by where you may choose to be married. We want you and your guests to feel at home at Nancarrow and enjoy your extended stay with us. 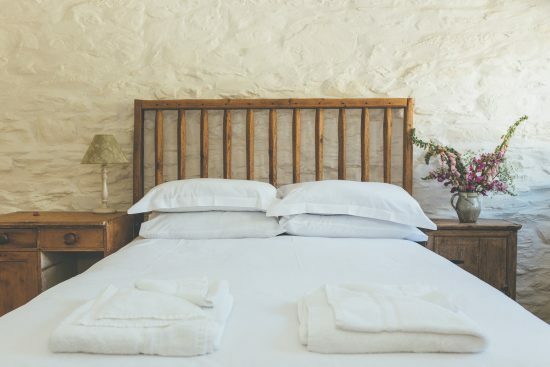 We now offer accommodation for 18 guests in a mixture of rustic yet luxurious en-suite rooms. Our beautifully styled Bridal Suite which opened in 2016 also offers a spectacular dressing room for the bridal party tucked out of sight adjacent to the herb garden, 4 comfortable furnished bell tents located in the orchard mean we’re able to sleep 26 guests in total. Our professional team know exactly how to ensure the smooth running of your wedding. 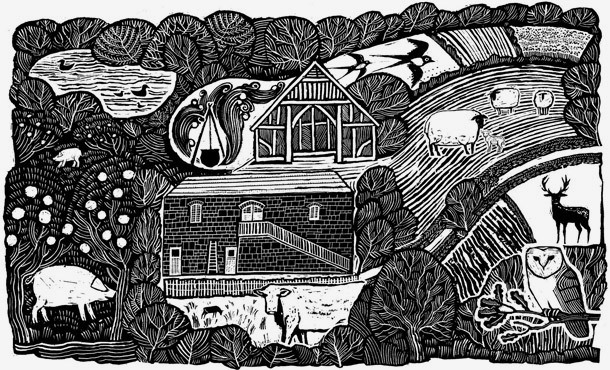 Your initial visit will be conducted by Steve who designed and project managed the renovation of the barns at Nancarrow. 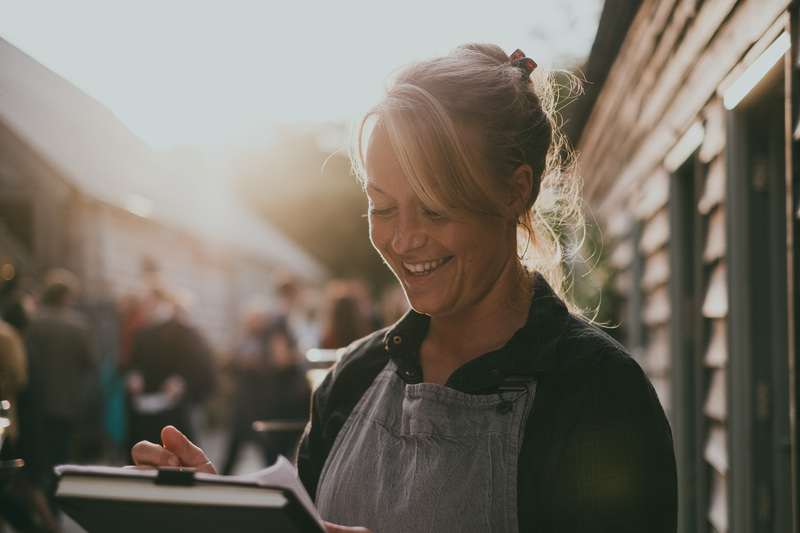 Our Event Managers Heather and Eavan will then be with you every step of the way, offering valuable experience, ideas and event management ensuring the smooth running of your wedding day. Its a privilege to be a part of such happy, memorable days. Our gallery is a tiny selection – we hope you enjoy!